We provide premium quality coffee, fully traceable, ethically sourced that gives back to the communities that we buy from. We think we are pretty unique and our coffee story is too. 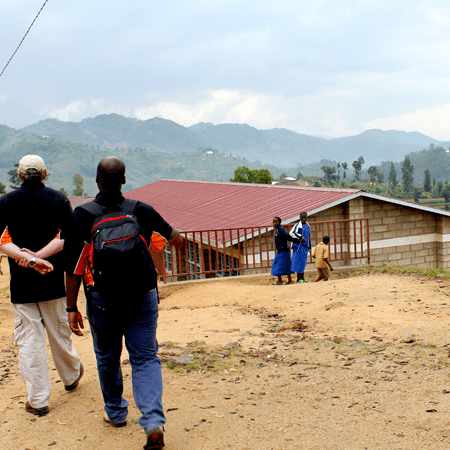 It all started back in 2012 when we began sourcing our coffee from Northern Rwanda. The region has the perfect climate for growing superb quality coffee trees. Consistent rainfall, combined with glorious sunshine, falling on rich volcanic soil enables the cherries to grow into ripe and plump fruits. At the beginning Team Praego met some amazing farmers from a few of the best co-operatives in the region and since then have developed a wonderful partnership that now forms part of the wider Praego family. Team Praego are an extremely passionate bunch. We simply love tasting and producing superb quality coffee for our discerning customers. Today we remain totally committed to the farmers we buy from. 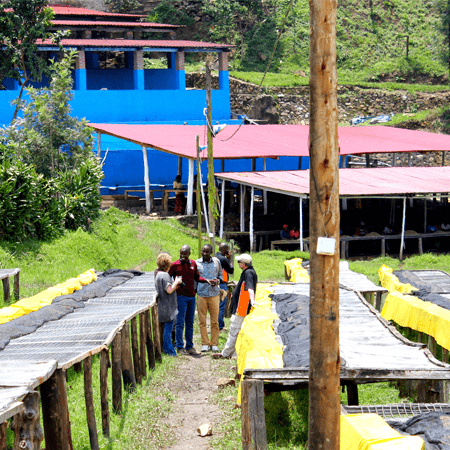 We promised that not only would we continue to buy from them as long as they continued to produce great coffee, but this extended to supporting their communities as well. 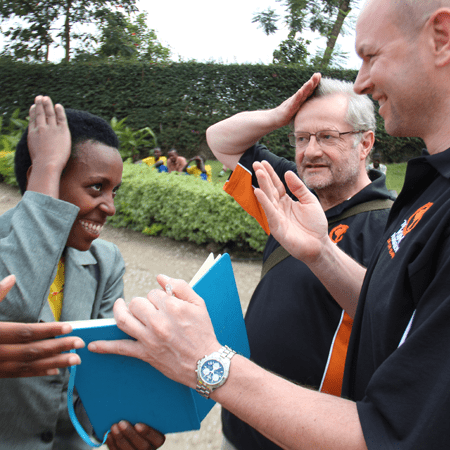 When Charles first visited Rwanda in 2007 he met some very inspirational people living in dire poverty and vowed to help them through our coffee & tea sales. The Point Foundation made a commitment 2 months after his first visit to allow ‘on the ground’ management of our projects close to the plantations. 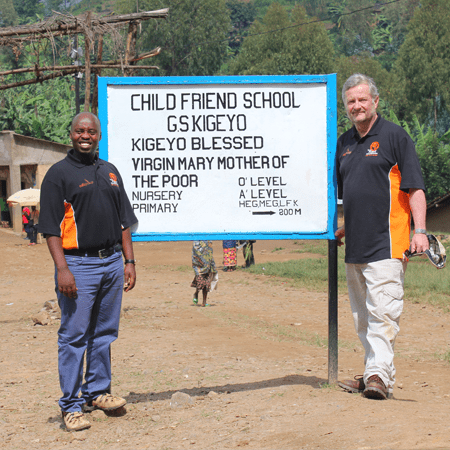 The Point Foundation today gets £3 from every case of Caffe Praego coffee and 100% of these funds go to helping communities and projects in some of the most desperate areas in Rwanda. 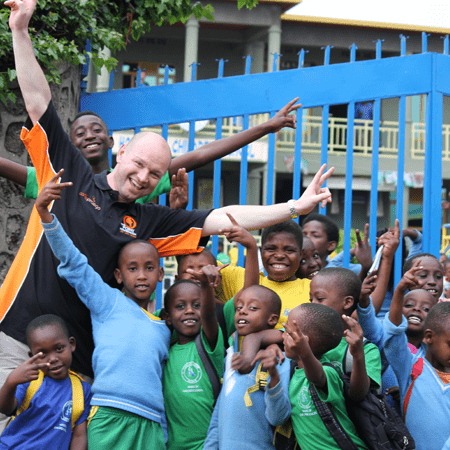 We focus our funding on orphaned & vulnerable children, whether this is through our 3 schools or our disability projects. Have a look at the latest newsletter here. Charles has been involved in the coffee industry since 1978 & founded the Point Foundation in 2006 after visiting Africa to buy tea & coffee. 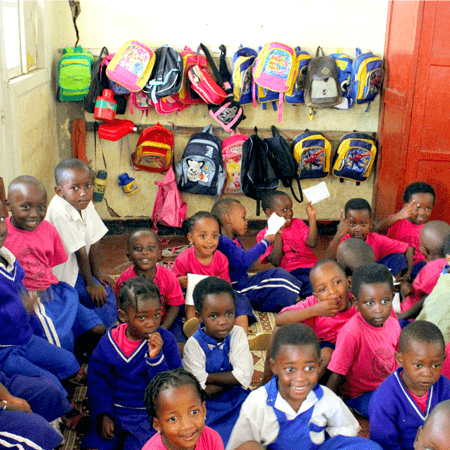 Based in Rwanda & Southern Africa, the charity has been responsible for supporting around 4,500 disadvantaged & vulnerable orphaned children through education funding & disability programmes. 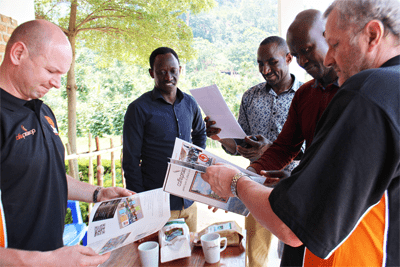 In 2013, he formed the Caffe Praego Coffee Company buying green beans from selected co-operatives in Rwanda close to his projects, with funding to help support the charity & “Give Back”. Charles served on the Board of the Trade Association – AVA for 10 years before being elected National Chairman in 2006 serving for two years. 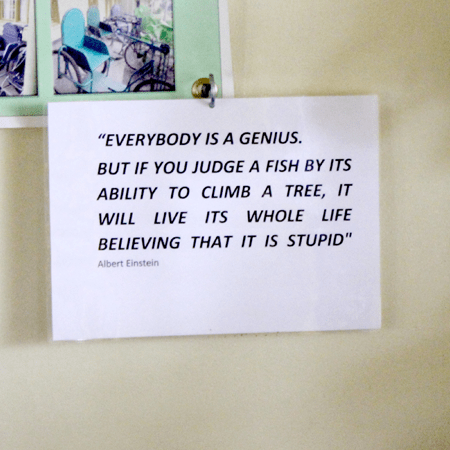 This school is so diverse in its approach to education, it just makes you smile! Able bodied children mix with those with physical disabilities, mental health issues as well as deaf and blind students that is a joy to see. Justin, the Head Master and his fantastic team nurture students with bespoke learning systems giving each and every one a brighter future. 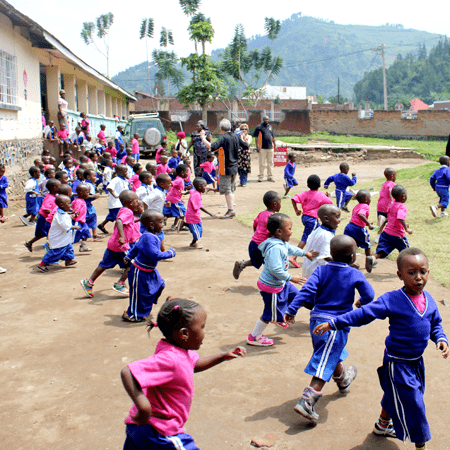 Education isn’t free in Rwanda. Currently we fund 76 disabled children with daily bus collection from their villages, school fees, uniforms, their books, lunch and glass of milk every day. 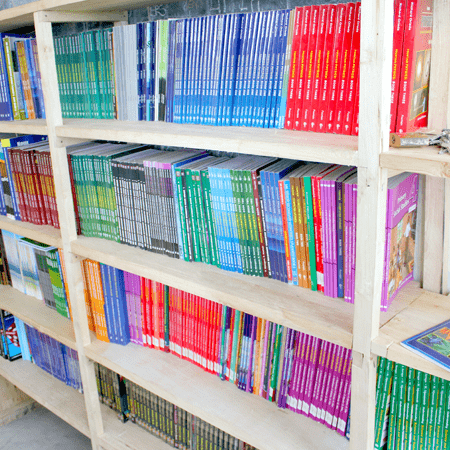 In addition, we fund 3 specialist teachers’ salaries and have provided over 2500 school books in the past 12 months. Kigeyo sits on the top of the world! Around 2600 metres above sea level. Home to 2400 students. 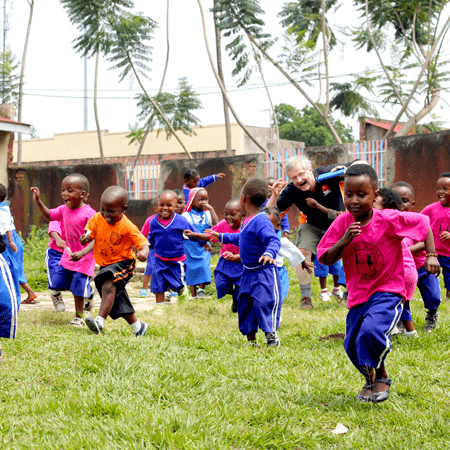 Ingoboka children of all ages attend this school which is why we chose to fund and support them in their development. 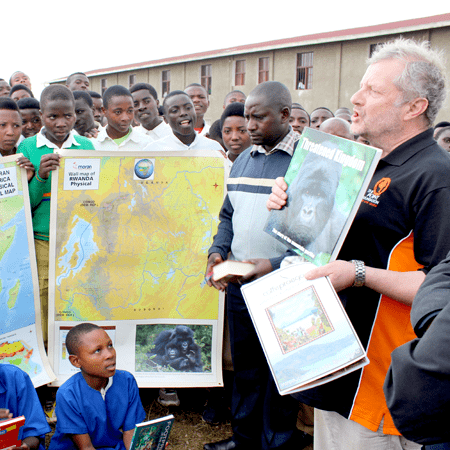 Projects include funding a new library, supplying books, maps, globes, posters and encyclopaedias. 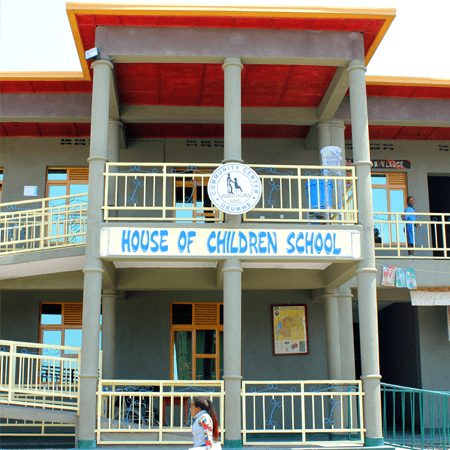 We have supplied a projector and microphone system for the assembly hall so Christian (Head Master) can address the entire school for the first time. 5 minute’s drive from HOC , this delightful but under resourced school has a 110 pupils and 3 teachers. 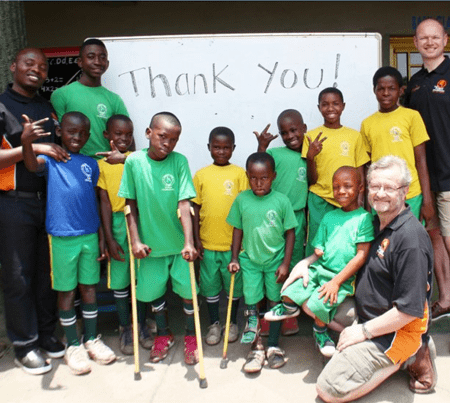 We continue to raise funds to help improve their learning environment and have so far funded new toilets, 100 chairs, 10 tables and playground equipment. Caffe Praego shared a post. Caffe Praego is in Rwanda.